Medical malpractice is a complicated form of law. Not every mistake made by a healthcare professional or facility is malpractice. Likewise, not every bad medical outcome is a result of negligence. 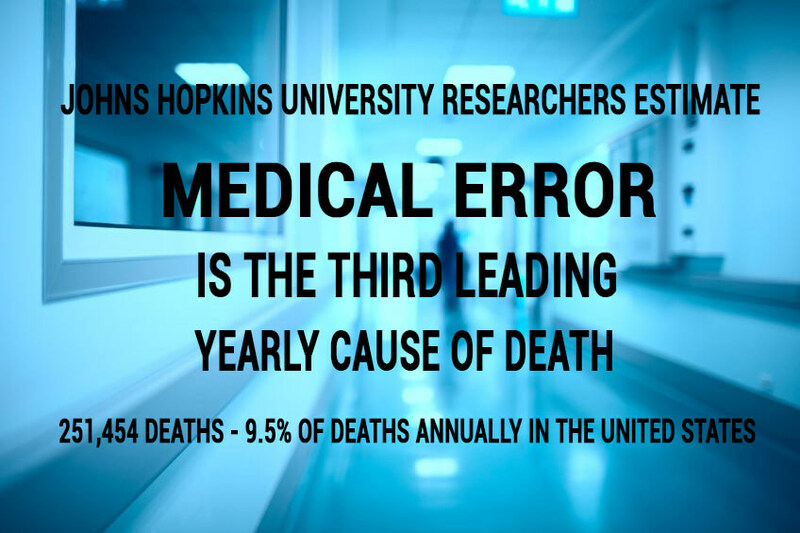 Yet, medical error is the third leading cause of death in America. With this in mind, if you have experienced medical malpractice, an attorney can help. Medical malpractice occurs when medical treatment is below the accepted standard of care. Legally, healthcare professionals should provide patient care up to a certain standard. You might be wondering exactly what a ‘standard of care’ is. Standard of care is the proper medical treatment accepted by medical experts. In other words, the standard of care is the customary practices of the average physician. Our medical providers guide us through our medical problems. Because medicine is a very complex topic, we need specially trained and vetted personnel to look after medical issues. Like in any field, there are mistakes or failures of judgment. Unfortunately, these mistakes can lead to serious injury or death. Failure to Diagnose / Misdiagnosis – Doctors can fail to diagnose a condition for a long period of time. A doctor may misdiagnose an illness as something else. The most common failure is when a doctor dismisses a patient’s symptoms. Causing a patient can miss out on crucial, even life-saving treatments. Misdiagnosis can also lead to unnecessary or harmful interventions and treatment. Surgical Mistakes – Accidents can happen during surgery. But sometimes medical staff are negligent. Medical charts are can be misread. Procedures may happen on the wrong part of the body. Surgical equipment might be left inside the patient’s body. Post-surgical care and guidance could be insufficient or improper. All of these situations can lead to unnecessary infections and injury. Medication or Anesthesia Errors -Medication errors are very common. They occur most often during anesthesia. For example, the wrong class of drug could be prescribed. A nurse may administer the wrong dosage. Medical staff might overlook a serious drug interaction or allergy. Medication errors are common and easy to miss. The loss of your earnings while injured. The loss of your earning capacity in the future. You can also receive compensation for the pain and suffering you endured because of negligence. The Law Offices of L. Clayton Burgess take pride in our expertise in medical malpractice cases. We have twenty years of experience and can pull from a wealth of knowledge and resources. Perhaps you are struggling with lost wages, medical bills, and pain? If you have suffered from a negligent medical procedure, let us advocate on your behalf. If you or you loved one has experienced injuries or death because of medical mistakes call The Law Offices of L. Clayton Burgess today.